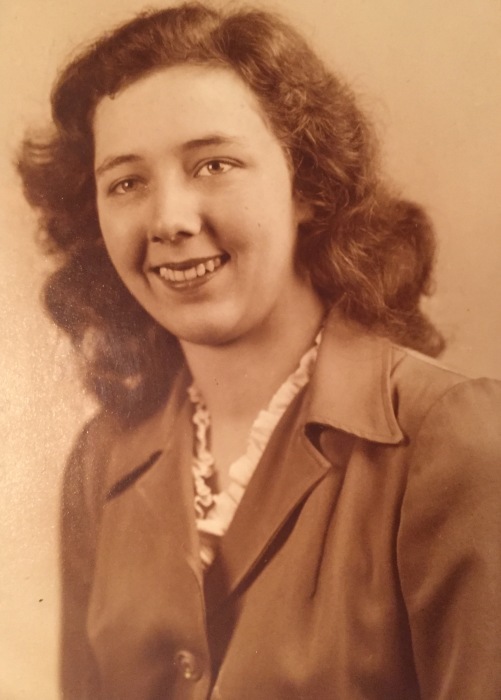 SANDUSKY - June Margaret Stephenson (nee Starkweather), 92, of Huron, passed away peacefully just before dawn on Tuesday morning, March 26, 2019, at Stein Hospice Center in Sandusky. June was the eldest of two daughters born to George and Meta Starkweather in Schenectady, New York on August 24, 1926. She graduated from Mount Pleasant High School in Schenectady where she met her husband William H. Stephenson. While he was away serving as a Naval engineer in WWII, she worked assembling bomber switches at General Electric in Charleston, West Virginia. June married the love of her life on Thanksgiving Day, 1946, and attended classes at Marietta College in Ohio, while husband Bill earned a degree in petroleum engineering. Eventually, they settled in Toledo and ultimately in Huron, Ohio, where June spent the majority of her life as a homemaker. June also held a number of jobs including early as an independent marketing agent and product presenter for various companies in Northern Ohio and later administratively for The American Cancer Society in Sandusky. She worked for the Erie County Board of Elections as a poll worker and district coordinator for better than 20 years. Her legacy also includes a multitude of volunteer positions as well, including over 25 years of service at Firelands Hospital, Gideon’s International, Care-and-Share of Sandusky and as a docent (usher) for the State Theater of Sandusky. An adamant devotee of the arts, June was a supporter of the Huron Playhouse for many years and an active participant in a number of church circles, women’s auxiliaries and volunteer activities. 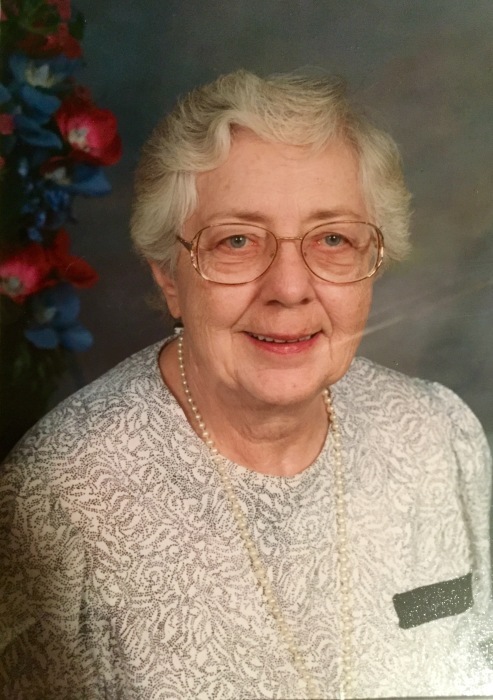 June was a lifelong member of the Lutheran Church, including many years at Zion in Huron and Resurrection Lutheran in Perkins Township, where she cultivated and practiced a strong faith. In her spare time, June loved attending theater, concerts and spending time with family. She will be fondly remembered for her ability to discover and rejoice a bargain (couponing like a champ) and loved an unpretentious life celebrated in the company of family and friends. June is preceded in death by her husband of 44 years William, on May 26, 1991, her parents George and Meta, her in-laws William and Minerva Stephenson of Schenectady, her sister, Carol Stanhope, of Cherry Hill, New Jersey, a nephew, David Stanhope of Pennsylvania, a sister-in-law Mary Marston of Albany, New York, and a number of aunts, uncles and cousins. Those left to cherish her memory include her daughter and son-in-law Karen S. and Michael D. Ferdinandsen of Catawba Island, her son Dr. Geoffrey W. Stephenson of Bowling Green, Ohio, her nephews Brain and John Stanhope of Cherry Hill and a niece, Lorena Marston of Albany. She also leaves behind a limitless list of family and friends from her many connections as a volunteer, supporter of the arts, active church memberships, and as a recent resident of Parkvue Assisted Living Center in Sandusky. Visitation will be held from 4:30 p.m. to 7 p.m., Thursday, March 28, 2019, at Foster Funeral Home, 410 Main Street, in Huron. A brief funeral service will take place at the home on Friday, March 29, at 11:00 a.m. Entombment will take place at Meadow Green Cemetery, Huron. Memorial contributions in June’s honor if desired may be made to Stein Hospice of Sandusky, 1200 Sycamore Line, Sandusky, 44870 or Care-and-Share, 237 W. Washington Row, Sandusky.